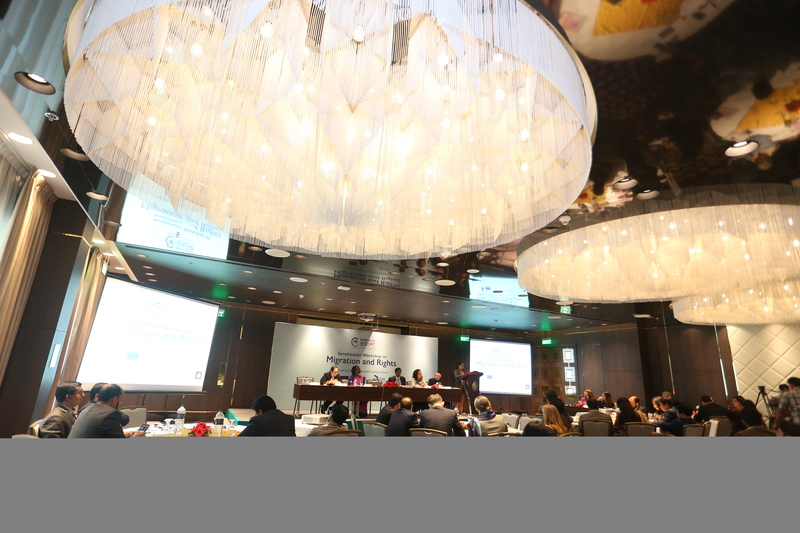 Istanbul – IOM’s Vienna Regional Office put migration health at the forefront during a three-day high-level technical meeting and ministerial consultation of the World Health Organization European Region in Istanbul last week. Ministers from 53 countries shared the platform with technical experts as they discussed a global plan to improve public health preparedness and response for all health hazards. The initiative requires high-level political and financial commitment to address the full cycle of emergency management. 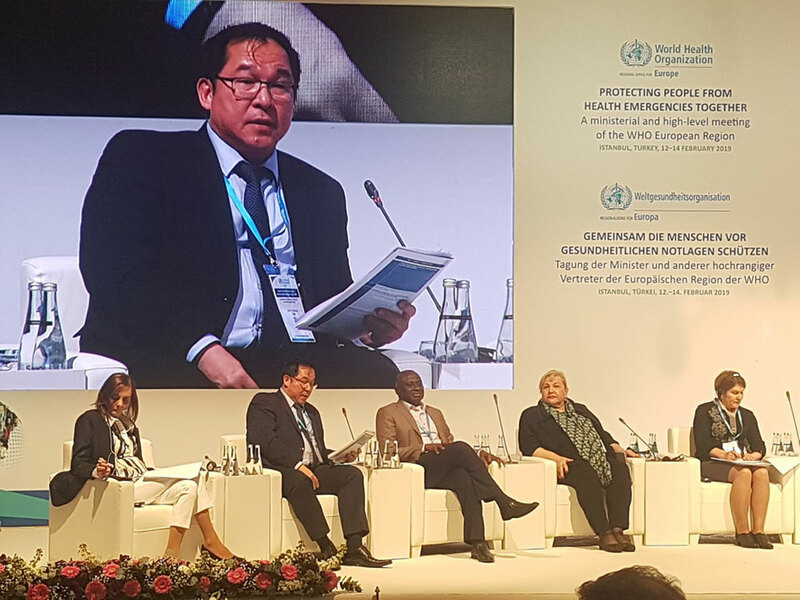 Dr Jaime Calderon, IOM’s Senior Health Advisor for South-eastern Europe, Eastern Europe and Central Asia spoke on a high-level panel about the need for migrant health to be included in the global initiative. “Health is integrated in the overall humanitarian response of IOM, particularly in natural disasters where IOM is a Camp Coordination and Management cluster lead,” Dr Calderon told the audience of ministers and experts. He pointed to Libya, where IOM provides life-saving health care services to more than 15,000 migrants living in and outside of detention centres, as well as countries in Jordan, Syria and across the Middle East. In South Sudan, IOM established and supports delivery of mental health and psychosocial support services for displaced people, he added, also citing examples in Somalia, the Democratic Republic of the Congo and Nigeria. In the Europe region, said Dr Calderon, IOM works with the health cluster supporting WHO, governments and other key actors in addressing health needs of migrants since the start of the European migration crisis. 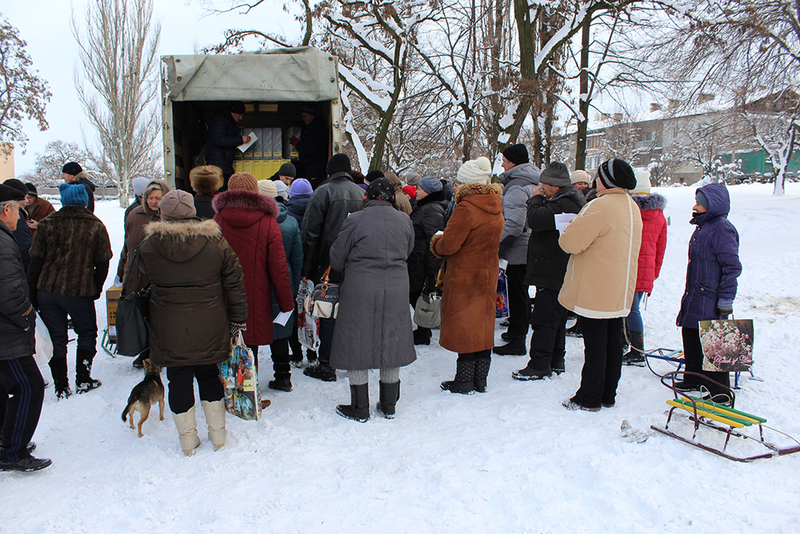 IOM is present in Ukraine, in the Western Balkans, Turkey and countries in Western Europe supporting delivery of health services, including mental health services to migrants and refugees. “We provide comprehensive migrant health care and prevention services during the crisis and throughout the movement process – at the pre-departure stage, during travel and transit and upon return based on existing health systems and evidence-based needs assessment,” he concluded. Thus, livestock also signifies something deeper: community, culture, a commitment to traditional values and family values – all crucial tools in restoring vulnerable migrants to lives of purpose and dignity after they return to their homes, especially from a failed migration that may leave the returnee hopelessly in debt. 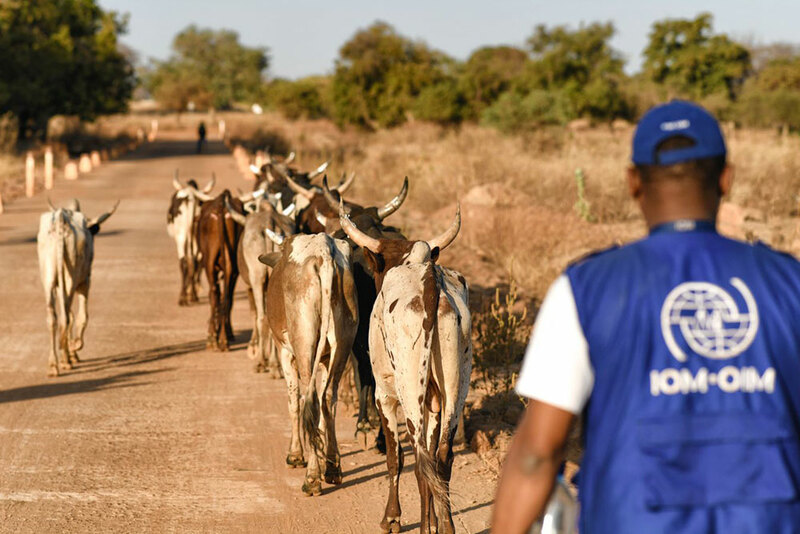 The International Organization for Migration (IOM), in collaboration with the Government of Burkina Faso, and with funding from the European Union, is supporting the establishment of livestock farmer groups in Burkina Faso. 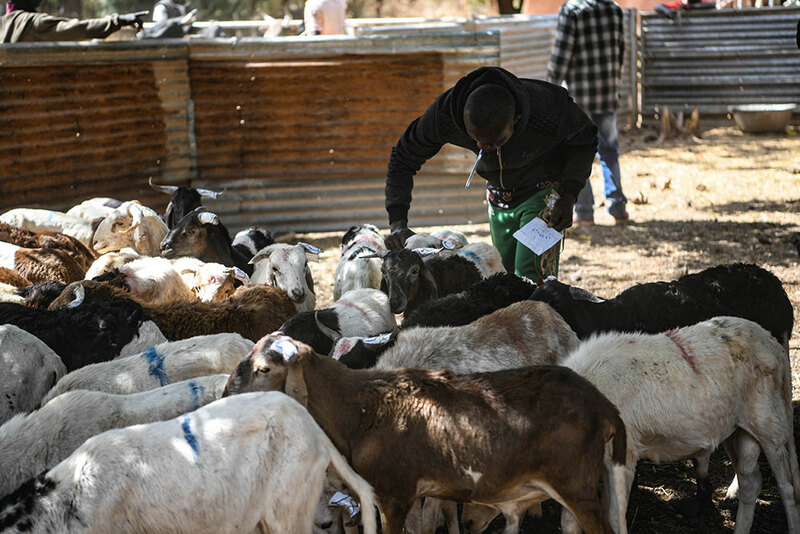 In Centre-East and Centre-South of Burkina Faso, the two main regions of origin for migrants leaving this country, IOM has provided about 500 sheep, rams, oxen and donkeys to 99 Burkinabè who returned from Libya and Algeria in 2018 to ensure their socio-economic reintegration in the country. To support their sustainable reintegration, the returnees received – in addition to this in-kind assistance – training in business management, cooperative operation and livestock farming techniques. The training sessions, provided throughout the year by the technical partners of the National Employment Agency (ANPE) and the Regional Directorates of Animal and Fisheries Resources, have enabled them to acquire the necessary skills to ensure the sustainability of their activities. “The training enabled me to learn the techniques of cattle fattening. Visiting the farms not only allowed us to put in practice farming techniques, but also to see that fattening, if conducted according to the techniques, is efficient,” says Iryassa, from the Centre-South Region. Osseni, another Burkinabé migrant who returned in September 2017, received reintegration assistance. He is from the Central-East Region of the country and had sold everything to go to Libya. “I started up my livestock farming activities with the support of IOM, which bought me oxen and equipment. I like livestock farming because I achieve success and it has helped me to build my house. My parents are very happy to see me back home alive,” he explained. 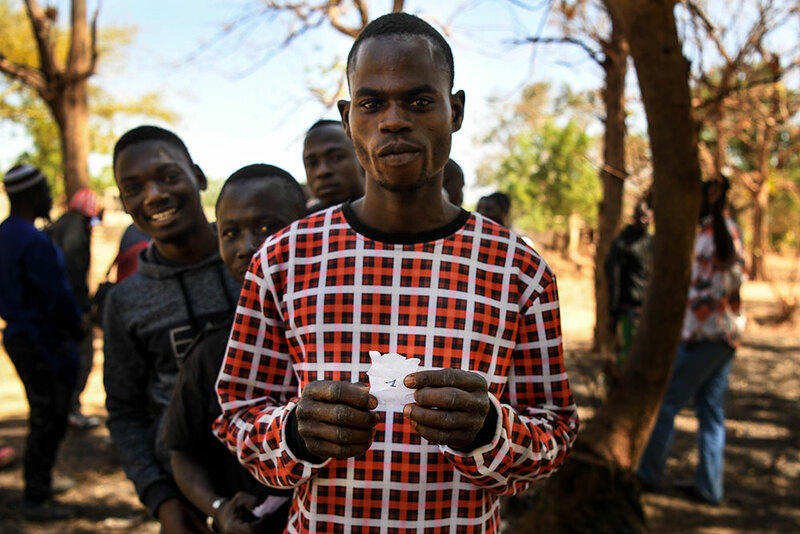 In 2018, 1249 Burkinabé migrants received reintegration assistance under the EU-IOM Joint Initiative for Migrant Protection and Reintegration. Funded by the European Union, this project aims to contribute to the strengthening of migration governance, protection, assisted voluntary return and sustainable reintegration of returning migrants. 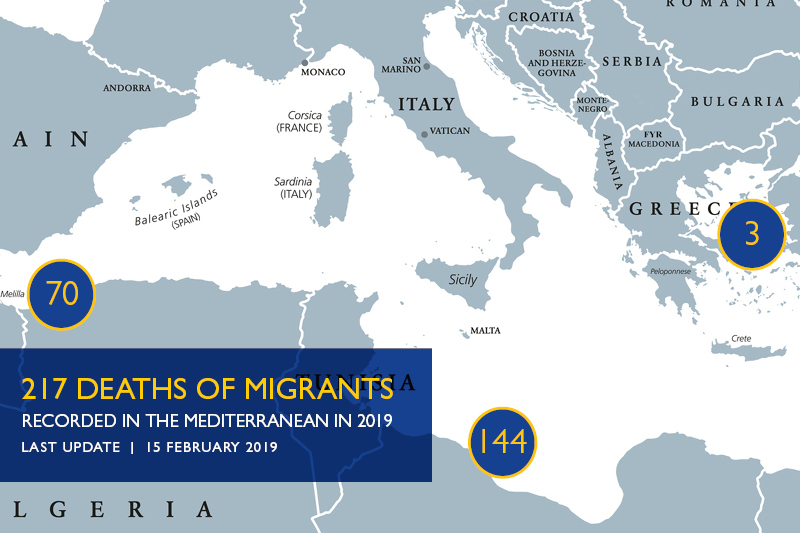 Deaths on the three main Mediterranean Sea routes through over eight weeks of the year are at 217 individuals, compared with 432 deaths during the same period in 2018. Geneva – United Nations aid agencies and NGO partners launched today (15/02) the 2019 Joint Response Plan (JRP) for the Rohingya humanitarian crisis. The appeal seeks to raise USD 920 million to meet the massive needs of more than 900,000 refugees from Myanmar and over 330,000 vulnerable Bangladeshis in host communities. With the generosity and support of the Bangladeshi authorities and local communities, who were the first to respond to the emergency, critical needs were met, and many lives were saved. “Our humanitarian imperative today is to stabilise the situation of stateless Rohingya refugees and their Bangladesh hosts. We are hoping for timely, predictable and flexible contributions in order to meet the goals of this year’s appeal,” said the UN High Commissioner for Refugees Filippo Grandi. “But while we tackle these immediate humanitarian needs, we must not lose sight of solutions. I repeat my call to Myanmar to take urgent action to address the root causes of this crisis which have persisted for decades, so that people are no longer forced to flee and can eventually return home in safety and dignity. We encourage countries in this region and beyond to show solidarity with Bangladesh and to support Myanmar to start creating conditions for voluntary, safe and dignified return of Rohingya,” Grandi continued. The 2019 JRP is the second such appeal and builds on humanitarian achievements made thus far in order to further stabilize the situation of Rohingya refugees. Over the past 12 months aid agencies have worked to improve the conditions across refugee settlements through the support provided under the 2018 JRP – providing basic assistance, upgrading living conditions in the camps and putting in place disaster risk mitigation measures for monsoon and cyclone seasons. The environmental impact of the influx has been reduced, through efforts such as reducing the demand for firewood through the provision of liquid petroleum gas (LPG) as an alternative cooking and heating fuel. Despite these and other achievements, the Rohingya remain in an extremely precarious situation, highlighting the importance of sustained support. 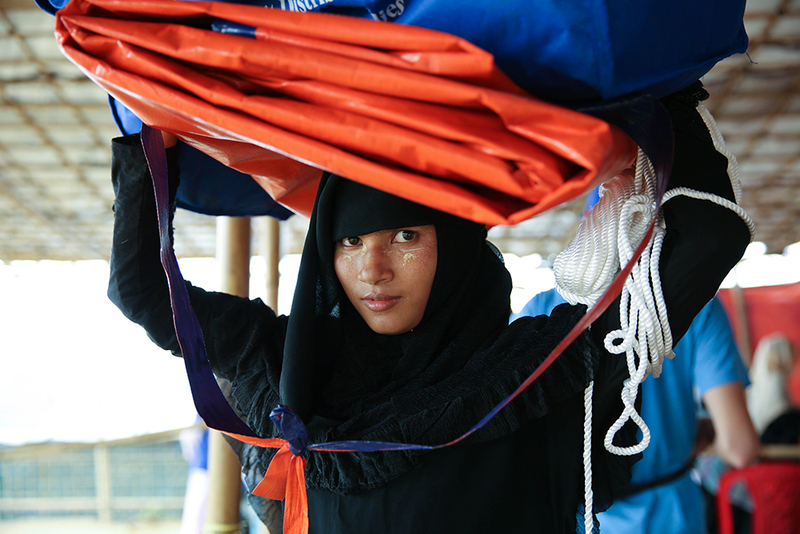 Until root causes of displacement in Myanmar are addressed and refugees are able to voluntarily return in safety and dignity, support must be provided to the Bangladeshi authorities to meet the needs of refugees and the host communities. Kinshasa – The tenth Ebola outbreak in the Democratic Republic of the Congo has taken the lives of more than 500 people and resulted in more than 760 confirmed cases since it was declared more than six months ago. 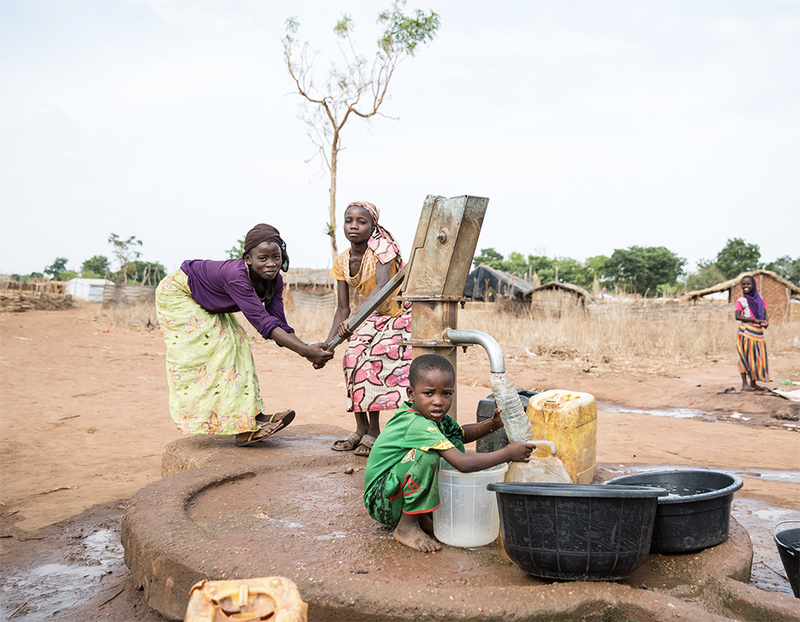 The current outbreak is the second largest in history, developing in the east of the country where long-standing insecurity, armed conflicts and instability challenge the humanitarian and public health response. The International Organization for Migration (IOM) is calling on the international community to support its USD 12 million appeal to assist government and humanitarian partners to contain the disease before it claims more lives and spreads across borders. Since the start of the deadly outbreak, the Organization has supported the government to screen more than 32 million travellers and to operate 80 screening points in areas of high population mobility, such as markets, parking areas and along major key transport routes. In partnership with the Congolese Ministry of Health, particularly the National Programme of Hygiene at Borders (PNHF), and the World Health Organization (WHO), IOM implements surveillance and prevention activities, utilizing mobility trends to minimize disease transmission to new areas and across borders. 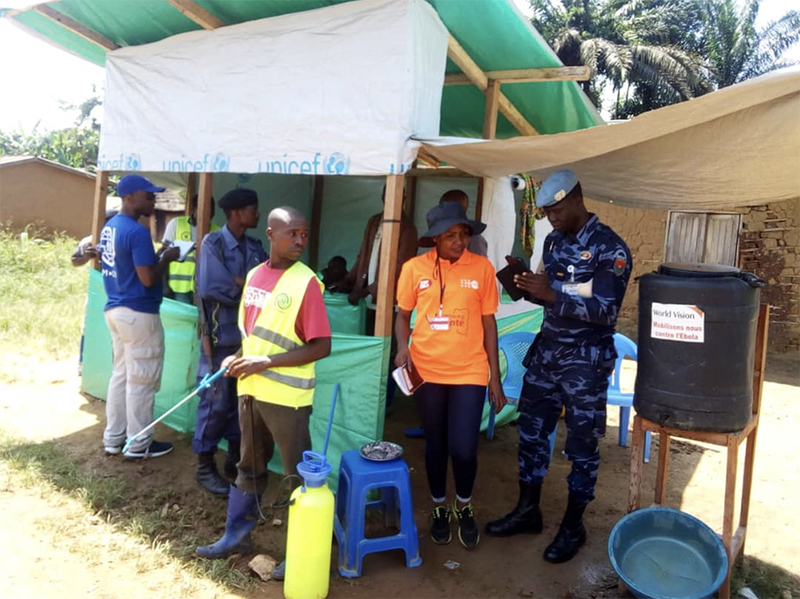 IOM also trains frontline workers to detect illness among travellers, provides essential equipment and supplies to screening points and strengthens the capacity of PNHF to oversee screening activities. Currently, the outbreak is just a day’s drive from Goma, the capital of North Kivu inhabited by over one million people, as well as neighbouring countries: Rwanda, Uganda and South Sudan. In areas with such high mobility, screening sites can be the last bastion. 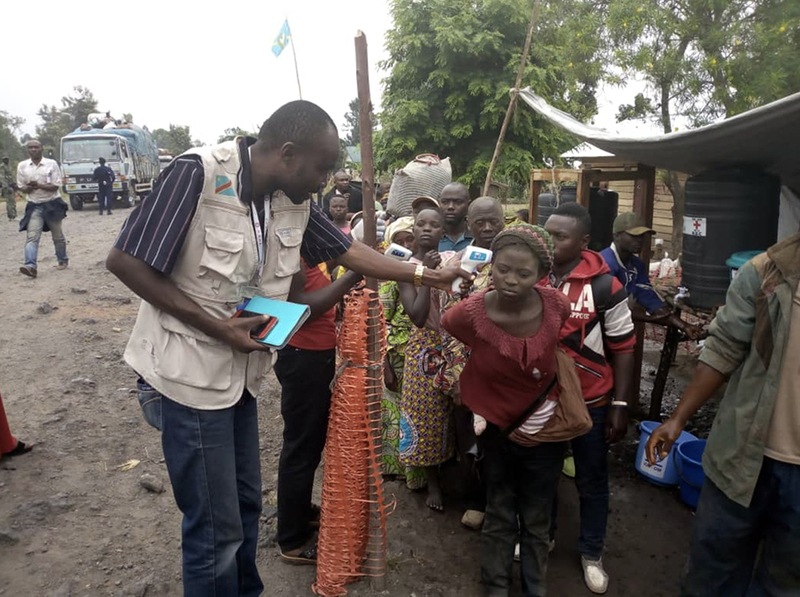 Located throughout North Kivu and Ituri, as well as in other provinces not affected by the disease, screening points are important to prevent the spread of the disease and to strengthen the capacity of other provinces to detect and respond to cases. The Organization has deployed around 800 workers to support these efforts significantly minimizing disease transmission both inside and outside the country. “Fighting Ebola is a race against the clock. It is a battle that we cannot lose,” said Fabien Sambussy, Head of IOM Mission in the Democratic Republic of the Congo. At the screening points, travellers go through a process that includes observation for symptoms of illness, temperature checking, hand-washing and a review of Ebola risk factors, such as traveling to an Ebola-affected zone or attending a funeral for someone who died of Ebola. As travellers are screened, they receive key messages about the risks of Ebola, how to prevent it, and what to do if travelling while sick. 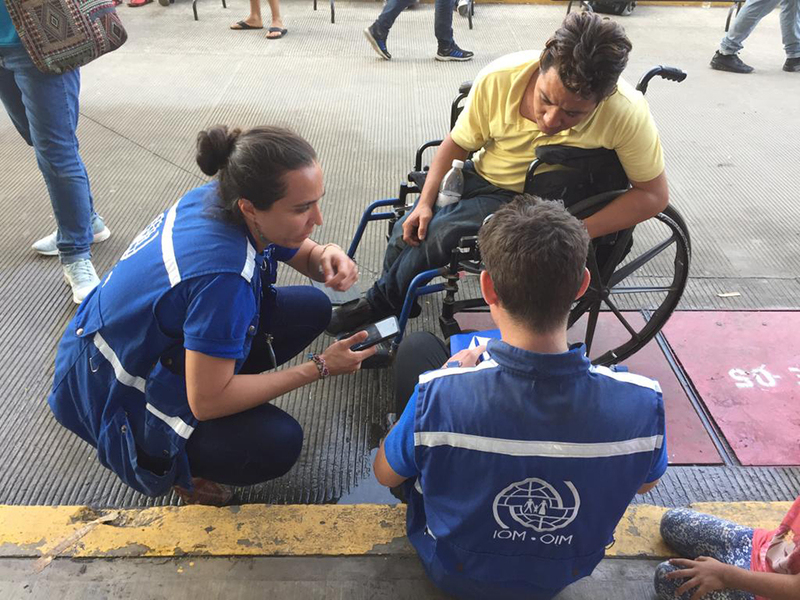 Additionally, at seven priority screening points, IOM assists in finding people who have been in contact with affected cases and might have contracted the disease. “We are very happy about the work they (IOM) are doing for us towards fighting the Ebola disease. They have set up hand-washing facilities. 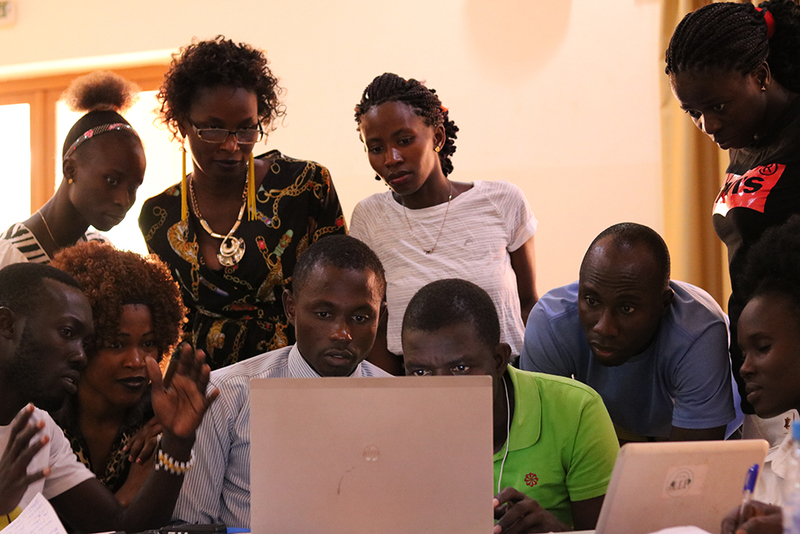 They have sensitized us on how to protect ourselves from contracting Ebola. They tell us not to eat meat from dead animals in the forest. They tell us not to touch any sick person without protective equipment used by doctors,” said Kabyaura Koleki, a fish trader from Tchomia, Ituri. 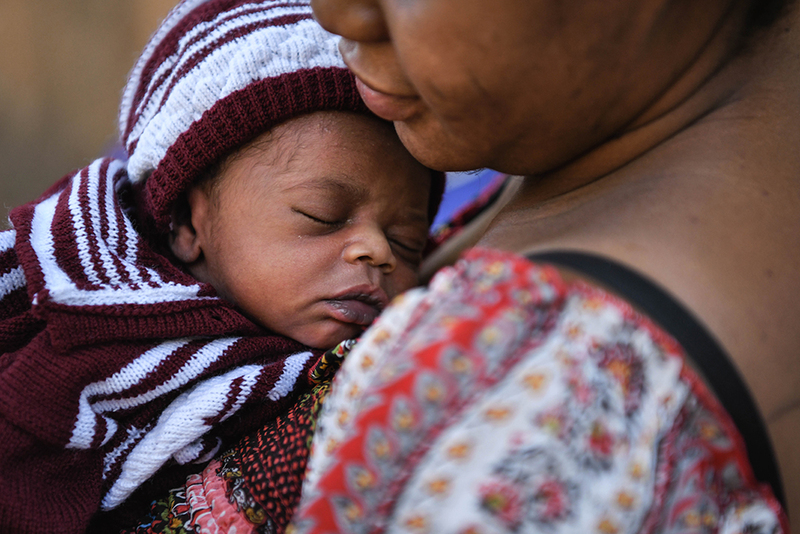 With funding exhausted in January 2019, IOM’s critical activities are now at risk. The third Ebola Strategic Response Plan (SRP 3), officially launched by Dr Oly Ilunga Kalenga, Minister of Public Health, on 13 February 2019, presents a strengthened plan to contain the disease within the next six months. IOM remains committed to supporting the government in its efforts to save lives and end the epidemic. Minsk/Kyiv – Belarus and Ukraine’s common border, which includes the marshes and forests of the zone contaminated by the Chernobyl nuclear disaster, is set to be fully demarcated and improved thanks to a new initiative between IOM and the European Union. The EUR 6.7 million project announced in Minsk this week will support the border demarcation process, improving infrastructure at the crossing points and strengthen bilateral cooperation and coordination between the two countries. The demarcation of the 1,084 km border has been pending for over 20 years, since Minsk and Kyiv signed a State Border Treaty back in 1997. Until now, 784 kilometres have been marked with temporary border signs, while about one-third of the boundary still lacks any physical signs. 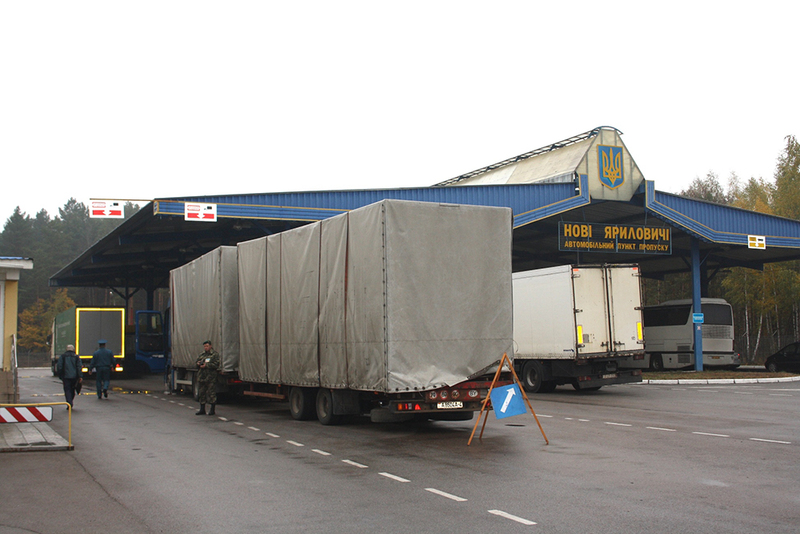 The Delegation of the European Union to Belarus, assisted by IOM experts, will procure a wide range of assets needed for demarcation works at the Belarus-Ukraine border to be carried out including vehicles, radiation detection and construction equipment, border signs and buoys, other relevant tools and machinery. 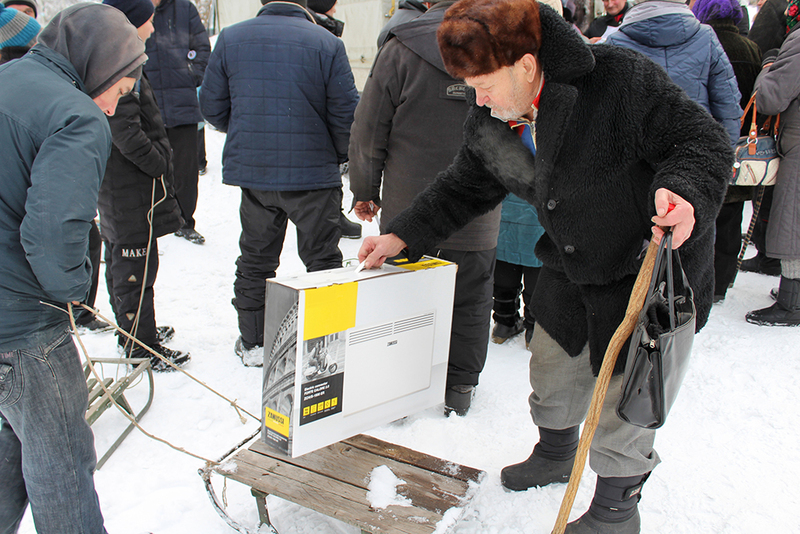 In addition to the border demarcation support, a new X-ray station will be installed at the Novaya Huta border crossing point to mitigate the risks of illegal cross-border movements. Novaya Huta in Belarus, and Novi Yarylovychi in Ukraine, are the busiest adjacent border crossing points in the region, and a part of the Helsinki–Alexandroupolis Pan-European Transport Corridor. The information obtained by the Belarusian customs authorities via the new X-ray complex will be shared with their Ukrainian colleagues using the existing electronic system of pre-arrival information exchange (PRINEX), launched under a previous EU/IOM project. The EU and IOM will also facilitate the development of a specialised mobile application, allowing travellers to follow the situation at the border, and get information on crossing procedures. Chiapas – A survey conducted by the International Organization for Migration (IOM) between 25-30 January near the border crossing flanked by Tecún Umán (Guatemala) and Suchiate (Mexico) revealed that just over half (51.6%) of approximately 5,000 Central American migrants waiting at that border crossing to receive the humanitarian card of the Mexican government, only left their country as part of the ‘migrant caravans’. Between January 14 and 16, migrants from Honduras and El Salvador left their homes with the hope of reaching Mexico and the United States of America, in the first ‘migrant caravans’ of 2019. In response to the situation, the government of Mexico established a migration policy for entry into that country using a card for humanitarian reasons. The survey was applied mostly to people who were waiting for the delivery of this immigration document. The survey indicates that the main reasons for migration are the search for labour opportunities (68%), education (11.8%) and better living conditions (10%). Additionally, 68.3 per cent of people indicate that in the last 12 months they had to change their residence in their country of origin due to some incident related to violence or insecurity. The migrants said they needed water, food, clothing, health and accommodation to allow them to continue their journey in decent conditions. The regularization of their immigration status, obtaining a humanitarian visa and access to the refuge or asylum application in Mexico was the last identified need to enable them to continue to their destinations. Of the people surveyed, 67 per cent said they did not know the procedures and protection requirements in Mexico and 65.3 per cent did not receive information about their rights as migrants. The main nationalities reported are Honduran (72.2%), Guatemalan (12.2%) and Salvadoran (11.7%). The survey was applied to more than 800 people of this latest migratory flow, using IOM’s Displacement Tracking Matrix (DTM) methodology. "The DTM allows us to know the immediate needs, characteristics and migratory tendencies presented by the people who are part of these migratory movements," said Alexandra Bonnie, Regional Coordinator of the Mesoamerica Program of IOM. "We hope that the findings will be used as a tool to improve the institutional and governmental response in terms of assistance and migration governance," she added. The DTM survey is carried out within the framework of the Regional Program on Mesoamerican–Caribbean Migration, with the support of the Bureau of Population, Refugees, and Migration (PRM) of the US Department of State. Other IOM actions in Chiapas include the provision of food supplies to migrants, in collaboration with the Mexican Ministry of Foreign Affairs (SRE, by its Spanish acronym) and the National Disaster and Emergency Assistance Committee (CADENA). 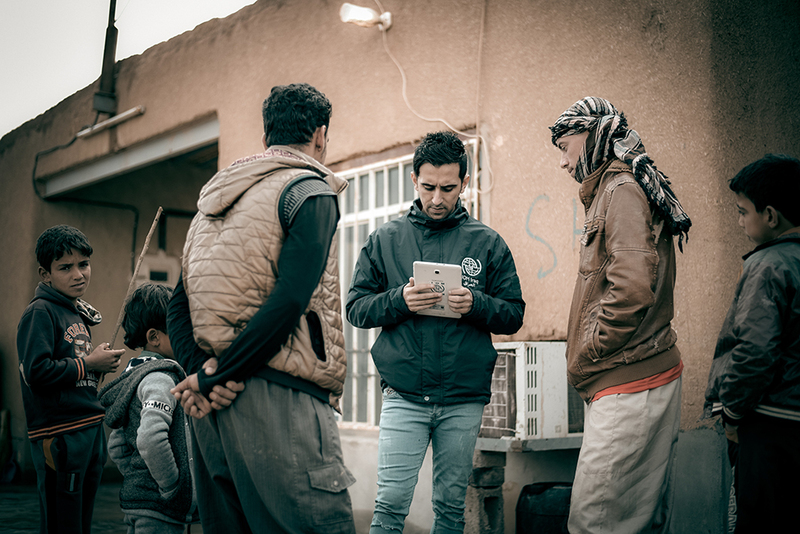 Also, informational materials, monitoring, and accompaniment have been distributed through the Informative Windows network and MigApp with the National Institute of Migration (INM). Banjul – The voluntary return of Gambians to their homes is averaging about 143 men and women per month since the start of 2017, the International Organization for Migration (IOM) reported this week, or the equivalent of one medium-sized charter flight every four weeks. 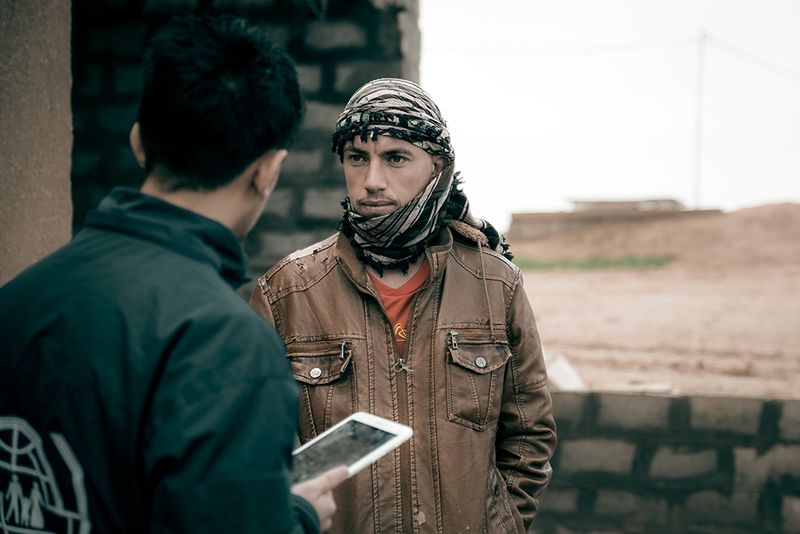 Almost two-thirds of all returnees have already received their reintegration assistance. Jalika is one of the 2,097 Gambian returnees who received reintegration assistance from IOM in The Gambia after she returned from a perilous journey across the desert. Upon voluntarily returning from Niger in March 2018 with her 10-year-old daughter, she received grocery goods which allowed her to open her own shop. “The EU-IOM Joint Initiative for Migrant Protection and Reintegration in The Gambia serves a threefold purpose: saving lives by assisting those en route, offering voluntary return assistance to those who want it, and providing reintegration support to returning Gambian migrants and their communities,” said Ambassador Attila Lajos, Head of the EU Delegation to The Gambia. For more information, please contact Miko Alazas at IOM The Gambia; Tel: +220 330 3168, Email: aalazas@iom.int or visit www.migrationjointinitiative.org. 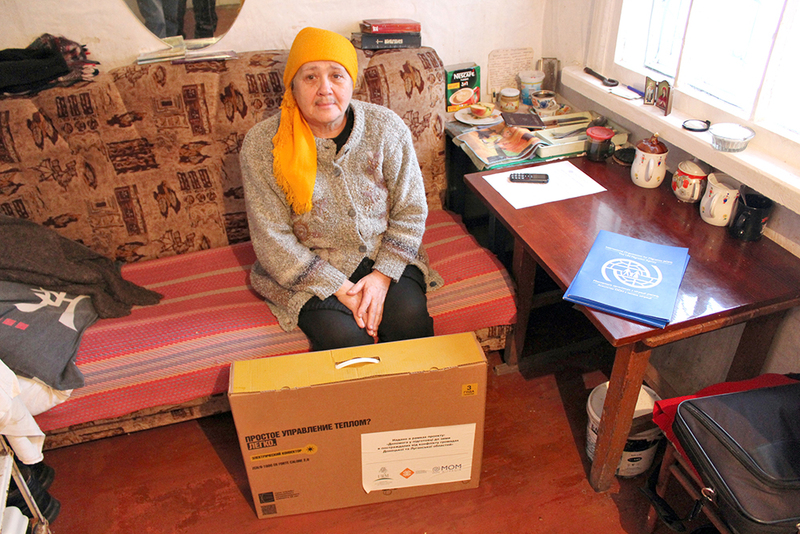 Dushanbe – Central Asia, home to millions of migrant workers with the region and in the Russian Federation, and a major destination for Afghan refugees, continues to seek ways to turn migration challenges into opportunities. 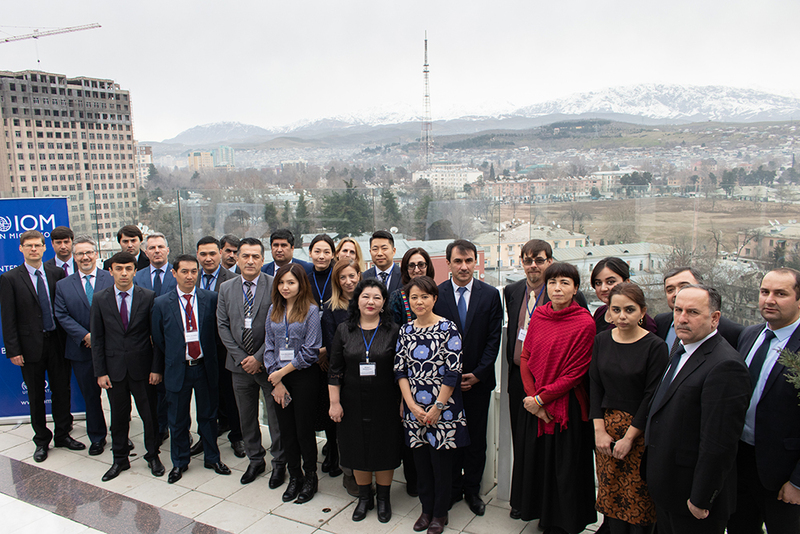 Officials from Azerbaijan, Kazakhstan, the Kyrgyz Republic and Tajikistan, as well as UN experts, came together in the Tajik capital Dushanbe from 12-13 February, for the first technical experts meeting of the Almaty Process on Refugee Protection and International Migration (Almaty Process), a regional consultative process founded in 2013. It brings together Afghanistan, Azerbaijan, Kazakhstan, the Kyrgyz Republic, Tajikistan, Turkey, and Turkmenistan as members, with Pakistan and the Islamic Republic of Iran as observers. 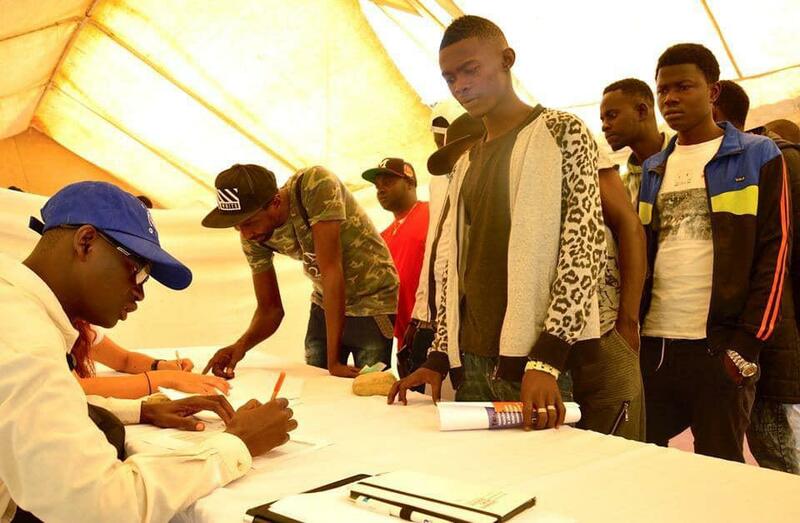 The International Organization for Migration (IOM) and the Office of the United Nations High Commissioner for Refugees (UNHCR) provide organizational, logistical and expert support. The meeting in Dushanbe was the first to be held under Tajikistan’s chairmanship and focused on safe and regulated migration options, on protection and assistance to vulnerable migrants and their families, and on coordinated approaches to reintegrate migrants and refugees. The experts decided to officially invite Uzbekistan to join the Almaty Process, and to encourage Afghanistan, Turkey and Turkmenistan to join the next gathering, scheduled for May. It will focus on migrant workers’ registration, and ways to improve national migration policies. 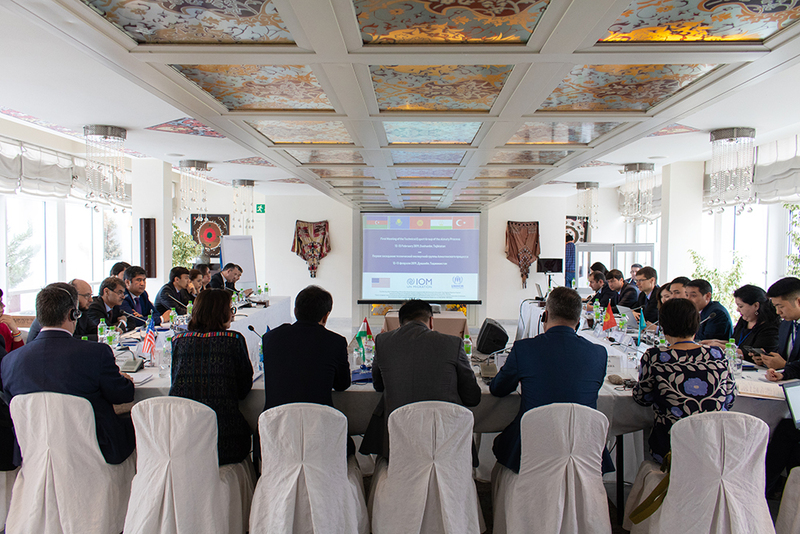 The Technical Expert Group Meeting of the Almaty Process in Dushanbe was funded by the US State Department’s Bureau of Population, Refugees and Migration. 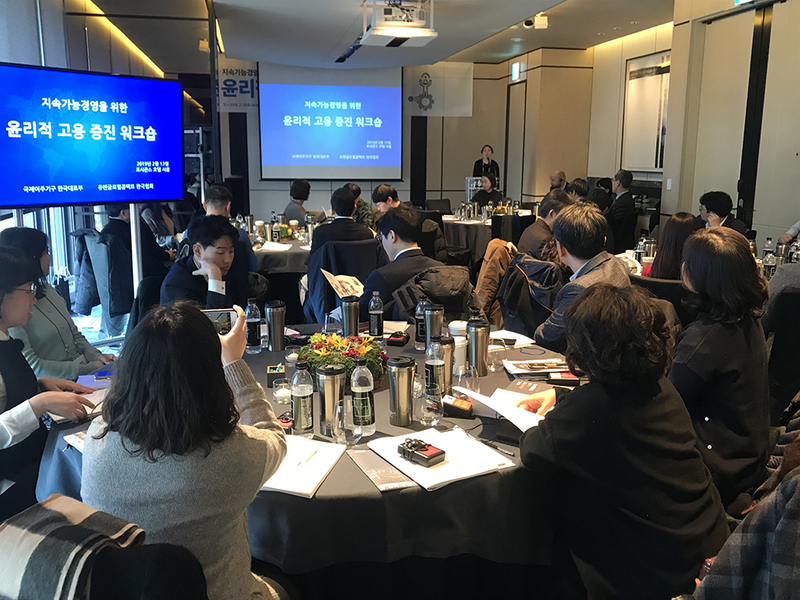 Seoul – IOM Republic of Korea (ROK) and UN Global Compact (UNGC) Network Korea organized the Consultation Workshop on Eliminating Modern Slavery and Trafficking within Companies and Supply Chains in Seoul on 13 February 2019. The half-day workshop was attended by more than 50 participants from Korean Multinational Corporations (MNCs), related companies and government agencies. 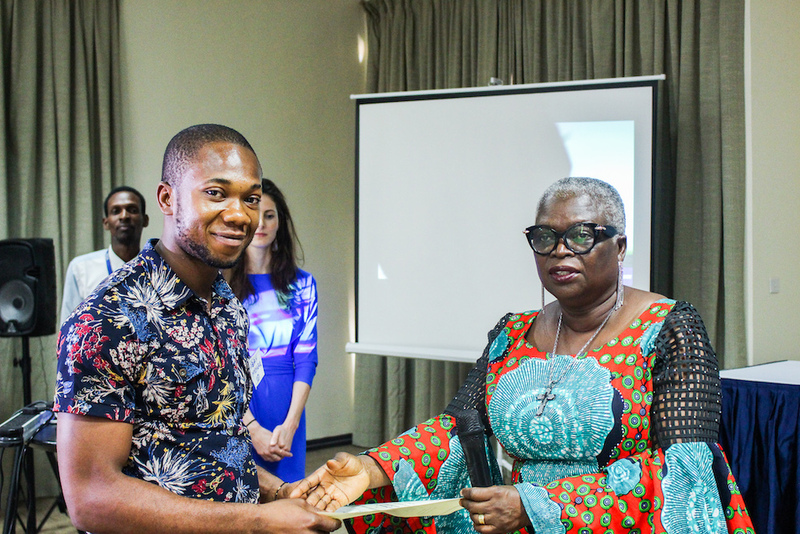 Supported by the International Development Fund, the event raised awareness of labour workers’ rights and enhanced the capacity of participants to implement fair recruitment policies in their work places. Globally, about 25 million people are victims of forced labour with the highest number in the Asia and Pacific region. More than half of the victims, 16 million people, are working in the private sector. In 2016, migrant workers accounted for 25 per cent of the total number of victims in the region. Objective 6 of the Global Compact for Safe, Orderly and Regular Migration (GCM), recently adopted by United Nations member states in 2018, contains the international community’s commitment on fair and ethical recruitment and safeguard conditions that ensure decent work for migrants. Yet many migrant workers are still vulnerable to labour exploitation. “Since the early 1990s, Korean MNCs with international supply chains have been expanding their businesses in Asia, especially in China, Indonesia, Thailand and Viet Nam,” said Mihyung Park, IOM ROK Head of Office. “Along with the growing demands for MNCs’ Corporate Social Responsibility (CSR), this workshop was designed not only to strengthen Korean actors’ understanding of the vulnerabilities of migrant workers, but also to encourage them to play an important role in promoting fair and ethical recruitment,” she added. Opened by Jaewon Kim, Assistant Regional Director of the Ethical Trading Initiative (ETI) Office in Hong Kong, the workshop shared global data on modern slavery in supply chain and leading business practices in multiple sectors. Two local experts from UNGC Network and the National Human Rights Commission of Korea made presentations on the international standards of CSR and recent national legislative developments in counter-modern slavery. Maximilian Pottler, IOM Project Manager in the Viet Nam Office showcased IOM initiatives including the Corporate Responsibility in Eliminating Slavery and Trafficking (CREST) project and the International Recruitment Integrity System (IRIS) along with risk management strategies. “It is time for Korean corporations and their partners to recognize increasing risk of unethical recruitment and to take action. I hope that the participants will gain practical take-aways including strategies on how to tackle the existing modern slavery in their supply chains,” Pottler said. Since 2016, IOM ROK has provided a series of technical consultations for local and global corporations to promote ethical recruitment including the Global Private Sector Forum (2016). In the opening session, Mihyung Park, IOM Republic of Korea Head of Office, welcomed the participants from Korean corporations and highlighted their important roles in promoting ethical recruitment. Geneva – The International Organization for Migration (IOM) reports that 7,510 migrants and refugees have entered Europe by sea through the first 44 days of 2019, almost a 9 per cent decline from the 8,234 arriving during the same period last year. Deaths on the three main Mediterranean Sea routes through just over seven weeks of this year now are at 217 individuals, compared with 412 deaths during the same period in 2018 (see chart below). IOM Spain’s Ana Dodevska reported that through Wednesday (13 February) 4,649 men, women and children have arrived as irregular migrants this month, or nearly three times the number arriving through this date last year. Through just over seven weeks of 2019, arrivals to Spain have more than matched the total for all arrivals through Spain during the entire first four months of 2018, a period during which IOM reported 4,627 irregular migrant arrivals to Spain by sea (see chart below). IOM Greece said on Thursday (14 February) that from Friday (08/02) up to date, the Hellenic Coast Guard (HCG) reported at least three incidents requiring search and rescue operations off the island of Lesvos. The HCG rescued a total of 132 migrants and transferred them to the respective port. Those arrivals were among some 394 IOM recorded in the seven days between 7 and 13 February, arriving at the islands of Samos, Lesvos, Kos and Oinouses and bringing to 2,513 the total number of sea arrivals to Greece this year (see chart below). 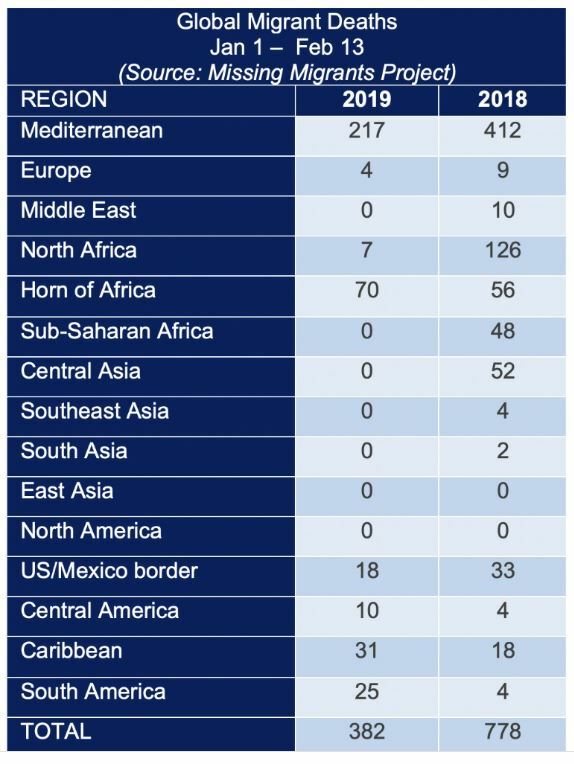 So far in 2019, Missing Migrants Project (MMP) has recorded the deaths of 382 people, 217 of those on one of three Mediterranean Sea routes (see chart below). Most recently, the remains of an unidentified man were recovered from the banks of the Río Bravo near Camargo, in Mexico’s northern state of Tamaulipas, on 7 February. A Honduran 30-year-old man was swept away by the currents of the river on 13 February as he attempted to cross from Reynosa, in Tamaulipas. His 18-year-old wife, who is four months pregnant, was rescued by Mexican civil protection authorities. Also, in Mexico, a man was killed in Saltillo, Coahuila on 7 February, when he was travelling north to the US border. In Michoacán, a man was killed and seven were injured in a vehicle accident on the Morelia-Salamanca highway, when the car in which they were travelling to Texas, in the United States, collided with another vehicle on 13 February. In the Western Mediterranean, Algerian civil protection authorities reported that the remains of two young men in their 30s were recovered from the sea off the coast of Kristel, east of Oran, on 9 February. Thirteen people were rescued, among them, ten Palestinian men, a 16-year-old Iraqi girl and two Algerian girls aged 16 and 17. Details regarding the nationalities and identities of the two deceased men have not been made public. According to survivors’ testimonies, three more people remain missing. In the Eastern Mediterranean, a 9-year-old girl, reported to be from Afghanistan, went missing when a boat carrying 52 people capsized off the coast of Tsonia, on the Greek island of Lesvos, on 13 February. The death of an unidentified man was recorded on the Slovenia-Croatia border on 8 February. His remains were found in the Vodni Dol forest area, south of the Pasjak/Ripa border crossing in Croatia. It is believed he died of hypothermia. Addis Ababa – The International Organization for Migration (IOM) has cited the Regional Migrant Response Plan (RMRP) for the Horn of Africa and Yemen as an example of humanitarian and development efforts that work together to support durable solutions, address the drivers of displacement and build the capacity of governments in the region. 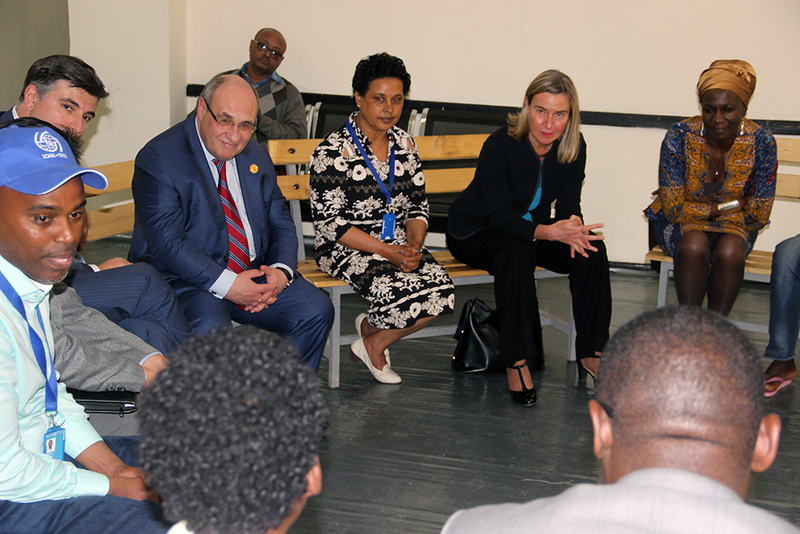 António Vitorino, IOM Director General, Federica Mogherini, European Union High Representative for Foreign Affairs and Security Policy / Vice-President of the European Commission and Maureen Achieng, IOM Ethiopia Chief of Mission visit the IOM Transit Center in Addis Ababa. 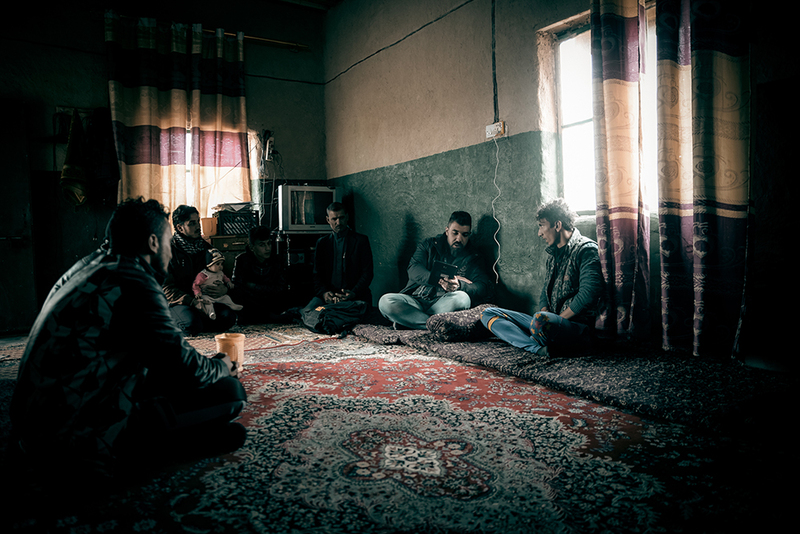 Lack of Durable Solutions for Displaced Iraqis | Five years after the start of the ISIL crisis in Iraq, more than 1.8 million people remain displaced. 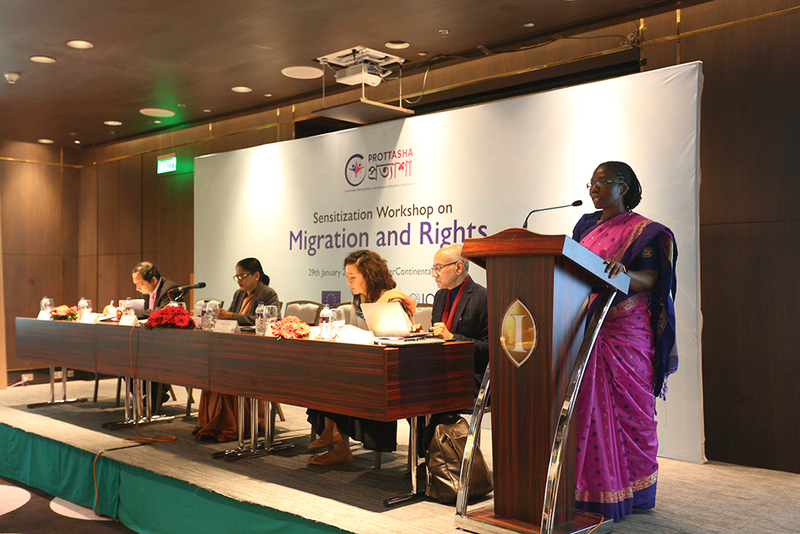 Dhaka – The International Organization for Migration (IOM), with the support of the European Union, recently organized a workshop in Dhaka to prepare key stakeholders for the imminent launch of the International Recruitment Integrity System (IRIS) in Bangladesh. 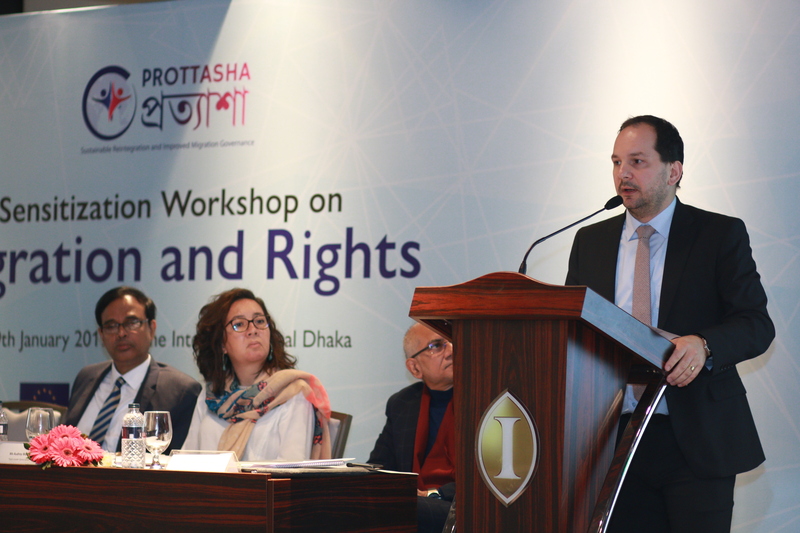 The workshop, part of the European Union (EU) funded project, Prottasha, sought to improve migration governance and ensure sustainable reintegration of returnees from EU member states. It was attended by representatives from key ministries, development partners, recruiting agencies, research institutions and national media. While remittance inflows have been on the rise with USD 13.6 Billion coming into Bangladesh in 2018, Bangladeshi migrants are often victims of abuse and exploitation mainly due to unethical recruitment practices. The other reasons are lack of information, influence of middlemen, low skill sets and migrant workers’ limited knowledge of their rights and services available to them. According to statistics shared by UN WOMEN, over 70 per cent of Bangladeshi women are believed to have been victims of unethical recruitment practices, a probable reason for decrease in female migrant outflow since 2014. "Ethical recruitment practices are essential to improve worker protection, prevent value erosion of their remittances due to excessive levels of debt, strengthen labour broker‐employer relations and reduce the appeal of irregular migration." said Audrey Maillot, Team Leader Governance from the Delegation of the European Union to Bangladesh. The Government and the Bangladesh Association for International Recruiting Agencies (BAIRA) believe, a viable solution to tackle unethical recruitment practices would be adopting an employer pay model. 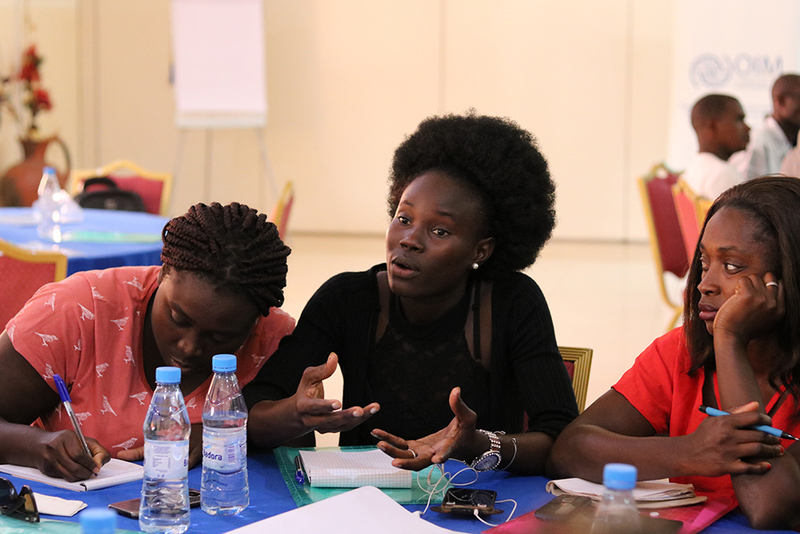 Earlier this year, IOM has jointly formed a technical working group with BAIRA that will work closely with key stakeholders in establishing systematic tools like IOM’s IRIS to improve labour recruiters’ transparency in the hiring process. IRIS is a voluntary multi-stakeholder certification system for international labour recruiters which is based on international human rights instruments, ILO Conventions and guidelines, as well as best practice from the recruitment industry. It helps to protect and empower migrant workers by eliminating exploitation in the recruitment process as well as helps recruiting agencies gain competitive market advantage by establishing themselves as fair, transparent and responsible entities.